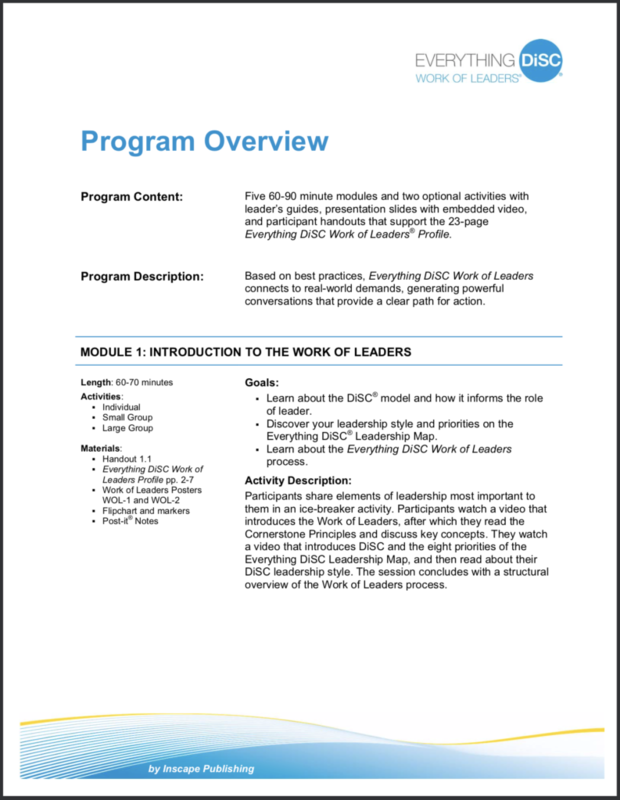 The DiSC Leadership Training that is provided in the facilitation kit is broken out over five 60 to 90-minute modules. 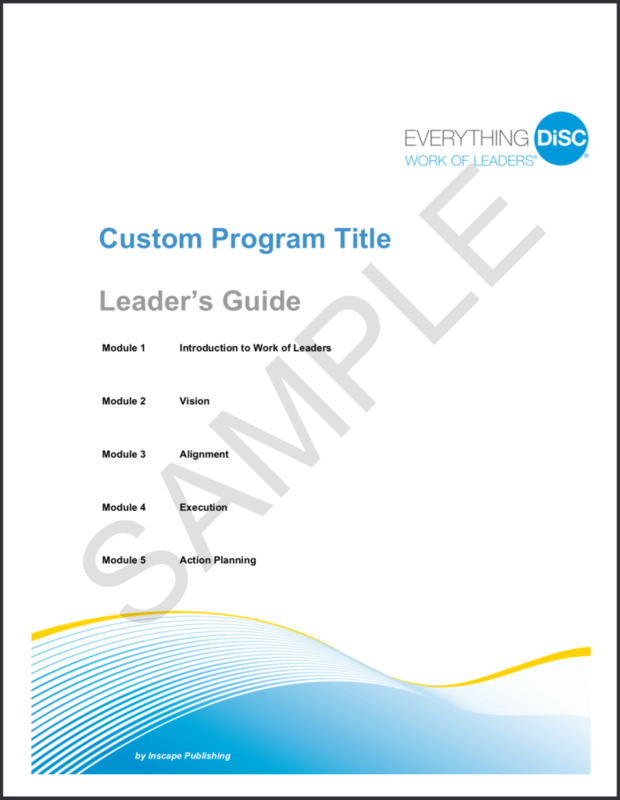 You can teach the modules individually, or use them in sequence depending on your group. Participants discover the Work of Leaders process. Includes optional Discovering DiSC activity. Participants learn about the three drivers of Vision and discover how they approach each driver. Participants learn about the three drivers of Alignment and discover how they approach each driver. 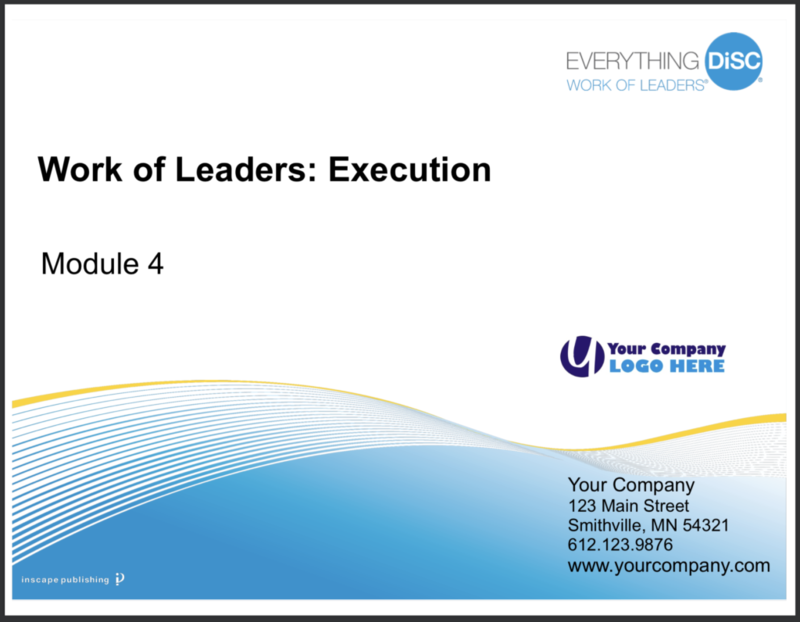 Participants learn about the three drivers of Execution and discover how they approach each driver. Participants explore their strengths and challenges and create an action plan for improvement.